BWD-01 Water Decoloring Agent is specially working high performance with the dyeing wastewater containing the hydrophilic dyes (reactive dyes, acid dyes, disperse dyes etc. ), less dosage, the color clear, fast speed, high processing liquid clarification of the settlement, but also reduce the composition of COD, improve the COD removal rate. BWD-01 Water Decoloring Agent is a new type of high efficient decolorizing flocculant, It is a color removal chemical, special product for de-coloring, flocculating, CODcr decreasing and other applications, used to remove color of waste water generated by textiles process houses and dyes industries and other fields. 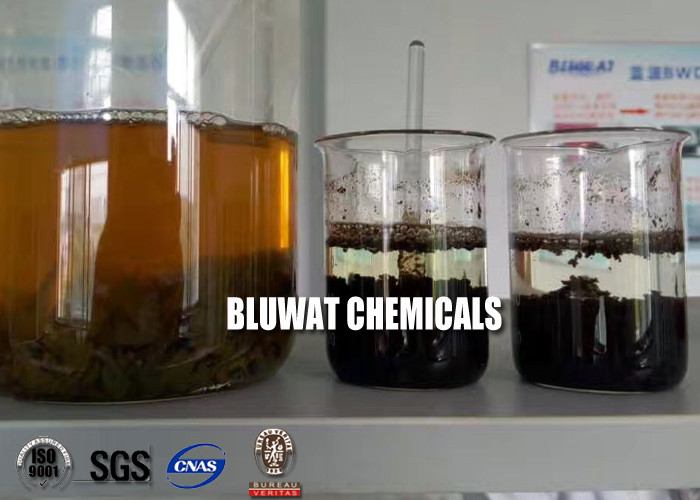 It has high color removal of dye wastewater, by providing a large number of cations, the negative charge is brought on dye molecules are neutralized instability, at the same time with BWD-01 Water Decoloring Agent by a large number of hydrolysis of flocs. Can be adsorbed dye, destabilization of the snare, from water separation, so as to achieve the purpose of bleaching. It is medium molecular weight polymeric coagulant and highly efficient decoloring flocculant. The colored effluents, generated by the industries, when left untreated, play havoc with reusable water resources. For process houses, in water scarce areas, it comes as a heaven-sent facilitating recycling of the industrial effluent into process water. 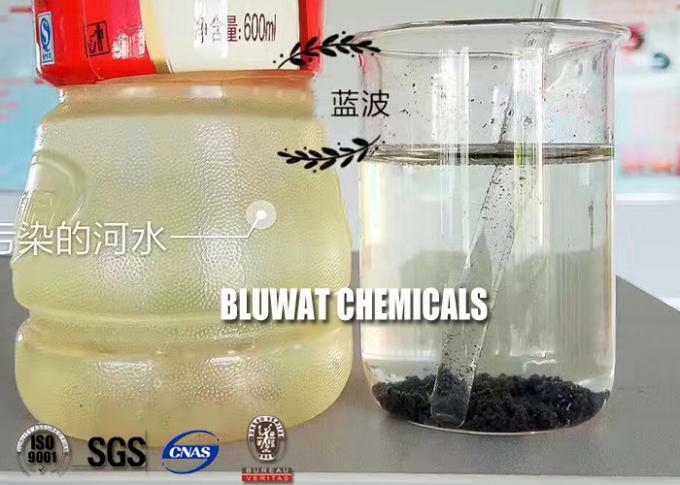 BWD-01 Water Decoloring Agent is used to solve this problem. In paper making, BWD-01 Water Decoloring Agent also can be used as fixing agent in the paper processing, will be very good performance. Color removal treatment for high-colority effluent from textile dyeing & printing mills, dyestuffs & pigment mills, ink & paper making mills. Suitable to treat waste water with Reactive dye, Acid dye, Disperse dye, Direct dye, Sulphur dye, Vat dye etc..
High performance to treat wastewater with Reactive, Acid, Disperse, Direct Dyestuff etc. (Soluble and Insoluble dyestuffs). Used to de-color high-colority effluent from dyestuffs plants. 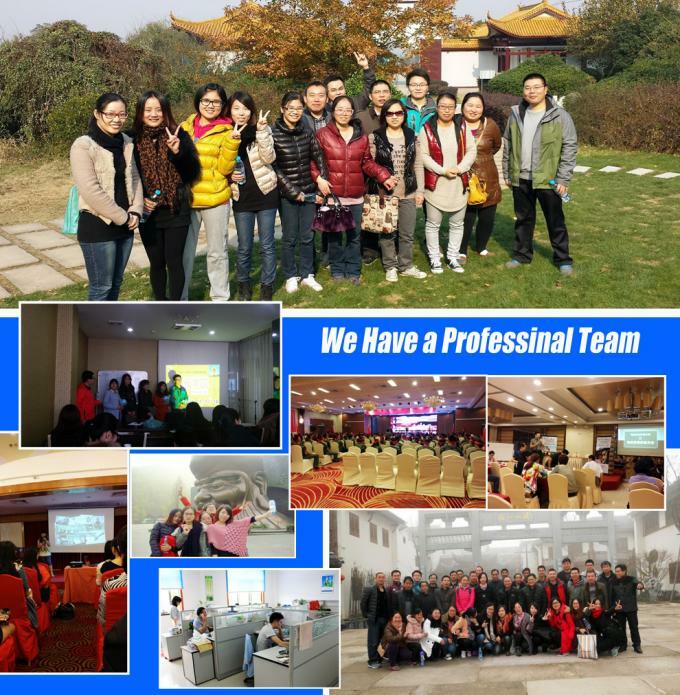 Used to treat wastewater from textile and dyeing industry, pigment industry, printing ink industry and paper industry. Make solution first, with BWD-01, mix with 40 times water to have 2.5% solution for use. Have solution of Anionic Polyelectrolyte, 0.1%. 30kgs, 50kgs, 250kgs net plastic drums and 1250kgs net IBC drums, or others according to the requirements of clients. Suggested to store in room temperature, would show slightly stratification or appear white at low temperature, cannot be placed in the sun.